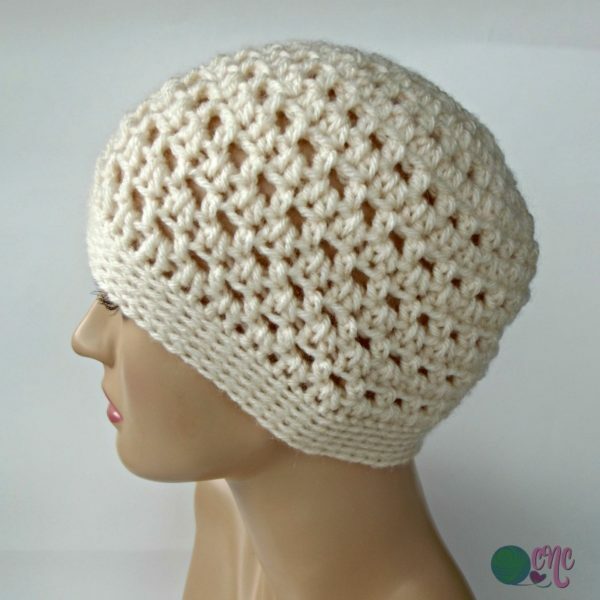 This ponytail hat pattern is perfect for those with long hair. It has an opening at the top to allow the bun to sit on top of the hat. Really cool actually. The pattern is given in one size, with basic instructions on how to modify for a custom fit. Gauge: Measures approximately 1″ over stitches made in Rnds 1 & 2. In body of hat, 14 sts = 4″. Finished Size: Laying flat it measures 8.5″ across the brim and 9.2 across the body of hat by 7″ high. This hat is given in one size only, to fit a small adult. If you need to make changes in size, you can increase or decrease the diameter as needed in any multiple of 2. If you need to decrease, I would recommend on making them in Rnds 3 or 4. As for Increases, I would recommend you make them in Rnds 5 and 6 as needed. Another option for a slightly larger fit is to continue with I hook instead of switching to an H for the last few Rnds. Rnd 1: With I hook, work 32 sc around the scrunchie. Join with sl st in first sc. Rnds 7-15: Rep Rnds 5 and 6, ending last Rnd with Rnd 5. Rnd 16: With H hook, Ch 1, sc in same st as join and into each st around; join with sl st in first sc. Rnds 17-20: Ch 1, blsc in same st as join and into each st around; join with sl st in first blsc. Fasten Off. 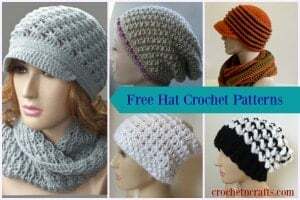 For more hats visit the main category for crochet hats. 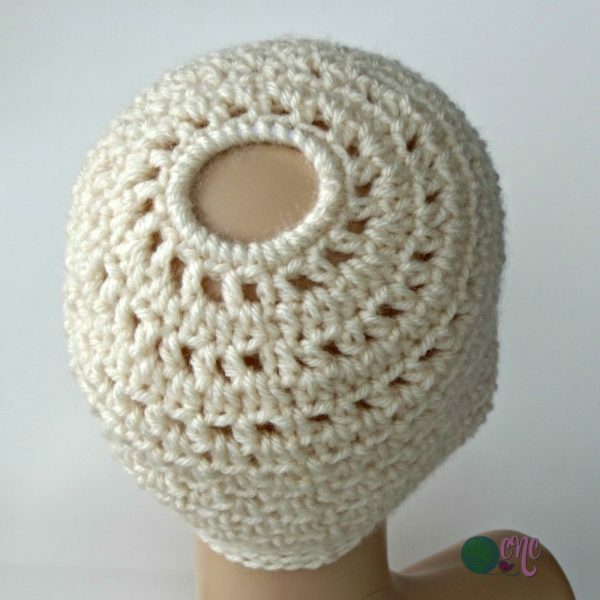 Or, check out the collection of crochet cowls to find something to go with this hat. I’ve signed up for a lot of free patterns and can never access them. I hope this site is different.